Thank you very much for all the good support received! You already signed this petition. I thank myself for signing! Why don't we get this planet free from that disgusting shite...??? Thank you Colleen for helping to make Britain foie gras-free! Signed #137825.. The same situations exists here also .Although production is illegal , it is still imported. Noted and signed earlier. Thank you for posting Pablo. Another vile food production. How can anyone eat such food from those who suffer. 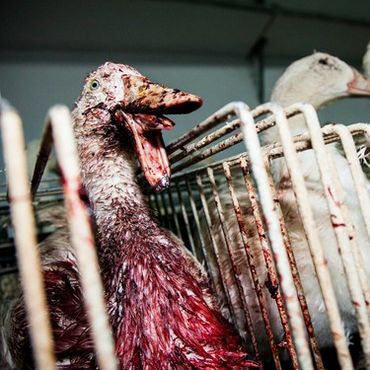 Thank you Helen A for helping to make Britain foie gras-free!